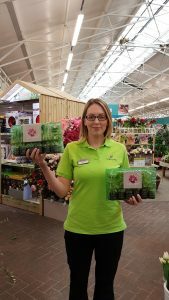 Sophie Lyall, customer services assistant at Haskins Garden Centre in West End has been announced as a runner-up in Cultivation Street’s national ambassador competition. Cultivation Street is a campaign founded by David Domoney, celebrity TV Gardener and Broadcaster, to recognise and reward communities that are caring for their streets, as well as encouraging other communities to join together and start anew. The campaign was specifically introduced to celebrate community gardens and their ability to bring people together using nature to inspire, heal and connect the communities they are a part of. The annual ambassador competition rewards those that go the extra mile for their local communities. Sophie has been a Cultivation Street Ambassador for Haskins in West End since February and co-ordinates the provision of compost, plants, bulbs, gloves, seeds and bird food to local schools. Working closely with Townhill Infant School, The Gregg School and Bitterne CE Primary School in Southampton, this summer Sophie worked with the children to increase their interest in gardening and helped them paint plant pots and grow sunflowers. In particular, Sophie helps out at Bitterne CE Primary School’s nature group, which sees a group of six children get together after school to learn more about gardening. Looking to the future, Sophie plans to refresh, replant and repaint Bitterne CE Primary School’s garden. Before the school holidays, Sophie worked with Shamblehurst Primary School to help create a memory garden for a 7-year old pupil who passed away to cancer. Sophie sourced compost, large pots, herbs and wind chimes for the memory garden. Alice Whitehouse, Cultivation Street’s campaign manager, commented: “This year’s campaign has seen more entries in all categories and we’ve been astounded by the level of gardens and projects entered into the competition, as well as the devoted ambassadors that have worked hard throughout the year. The Ambassadors are an integral part of the competition and Sophie from Haskins has been fantastic in her first year as an ambassador. We have no doubt that we will see more great work from her throughout the year. Sophie Lyall is Haskins’ designated Cultivation Street Ambassador for the West End centre, serving as a dedicated point of contact to support local community groups and schools with a garden. To contact Sophie, visit Haskins in West End’s Customer Services department. Staying fit doesn’t have to mean expensive gym memberships or fitness classes. Everyday activities around the home have huge physical benefits and can support mental wellbeing too. Gardening is an excellent all-round exercise for improving strength, endurance and flexibility and can be of great help in reducing the risk of high blood pressure, heart disease, diabetes, obesity and other medical conditions. To celebrate the warmer weather, AXA PPP healthcare has released an infographic, outlining just how beneficial an afternoon in the garden can be on the body. For more tips on getting fit in the garden, visit AXA PPP healthcare’s benefits of gardening page. It’s a well-known fact that spending time outdoors and being active can be beneficial for your wellbeing, and 56% of Brits say they like the Great British Outdoors*, but how many people overlook what’s on their very own doorstep? Garden building retailer, Tiger Sheds, is encouraging Brits to get out into their back yard this Mental Health Awareness Week, with five simple tips on how to improve your mental health from your garden. The first step is to get out there and reconnect with the outdoors. Being in a peaceful space can help you to reset your mind and gather your thoughts. Sitting in a quiet space can have a similar effect to meditation, helping to lift stress. So, enjoy the green space in your own garden, as it can be a lot more relaxing and convenient than trying to find a peaceful spot in a busy park. Get the whole family to muck in! Gardening is naturally a fun activity for kids as well as adults, as they can work with their hands to dig, plant and harvest under adult supervision. It can also help to teach them key skills such as the importance of maintaining a garden and how to communicate with the people you’re working alongside. Another benefit of gardening is that it can help develop the sensory system in young children; as lots of colours, aromas and textures can improve their senses and imagination. Use the down time as an easy way to workout. As the saying goes, ‘a healthy body is a healthy mind’ and to an extent it is very true. Gardening can burn more than 300 calories during just one hour of light gardening work*. You’ll barely notice the workout and the exercise will help your body to produce endorphins, which help to improve mood and fight stress**. Being outside will help your skin soak up all the vitamin D it needs. Low vitamin D levels have been linked to obesity, diabetes, cancer, seasonal affective disorder and cardiovascular disease. Spending time gardening is a way of making sure you get enough of the ‘sunshine vitamin’ that can seriously improve your mood and health. Gardening can be one of life’s most satisfying activities. Being able to start a flower bed or vegetable patch from scratch gives you a sense of ownership, and seeing your hard work grow can fill you with a real sense of accomplishment and satisfaction. Kiarna Benson from Tiger Sheds said “Taking pride in your garden and spending some time outdoors can really help you to unwind. This Mental Health Awareness Week it is worth remembering that one of the best places for you to relax is right on your doorstep. 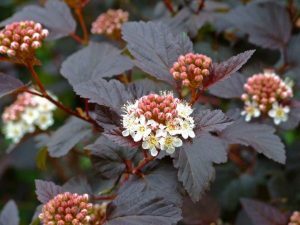 With spring in full swing and summer just around the corner, it’s a busy time for gardeners putting in preparations for a beautiful summer garden. Seeds should be sown, vegetables and flowers should be planted, and lawns should be given some tender loving care to ensure they are looking luscious and well-nourished for sunny days spent outdoors. Plant up your outdoor pots and summer hanging baskets, but keep them in a greenhouse or porch for a few weeks to establish, before putting them outside. Establishing the plants encourages roots to grow out and increase their drought tolerance which means they will be able to withstand the drier months ahead. Start sowing runner, dwarf and climbing French beans. All beans appreciate a rich, deep, well-drained soil in a sunny position, so before sowing make sure you dig over your plot to clear any rocks and large stones, and dig in a good amount of compost or well-rotted farmyard manure to encourage the beans to grow. Now that the weather is warming up it’s important to water thirsty crops such as tomatoes, cucumbers and courgettes regularly. Make sure that the soil or compost stays moist but is not waterlogged and take care to water the ground around the plant and not the leaves. Not only does mulching lock in the soil’s moisture and improve its texture, it also works to supress weeds. By covering the soil with mulch, weed seeds struggle to come into contact with the soil when they land; this, combined with their deprivation of light means they cannot germinate and are prevented from growing. Make sure you apply enough mulch (around 2-3 inches) and ensure that the mulch is not pushed too closely up against your plants. It’s important to check plants regularly for pests. Pay close attention to shoot tips to check for pests, such as capsid bugs, as well as the underside of leaves which can attract aphids, mealy bugs, red spider mites and thrips. There are plenty of ways to ward off those unwanted pests in an eco and wildlife friendly way without causing damage to your plants. Apply nitrogen-rich summer feed to your lawn to encourage leafy growth. May is the best time of year to do this as the longer daylight hours and warmer soil create the perfect conditions for the grass to grow. Always fertilise your lawn after mowing to avoid disturbing the fertiliser on the surface. Garden Gathering is a brand new fundraising initiative for Parkinson’s UK – encouraging people to have ‘mini festivals’ in their gardens or open spaces this summer, raising money for vital research into Parkinson’s – a progressive neurological condition for which there is currently no cure. 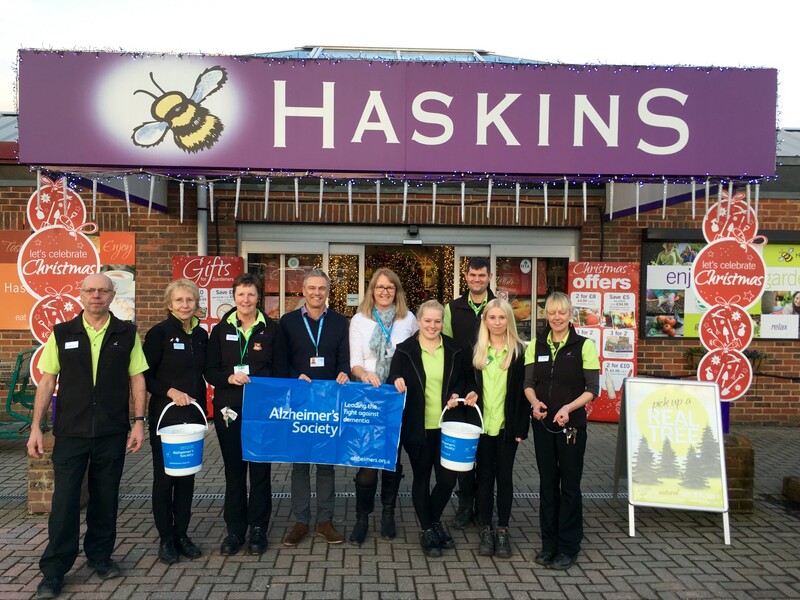 The team at Haskins Garden Centre in Snowhill has announced it will be putting all its fundraising efforts towards supporting Alzheimer’s Society this year. Employees as the Centre aim to raise several thousands of pounds by running many events throughout the year as well as offering the charity the opportunity to host information and awareness evenings. David Lilly, centre manager at Haskins Garden Centre in Snowhill commented: “Myself and the team are absolutely thrilled to be supporting such a worthy cause for 2017. According to statistics there are more than 14,000 people living with dementia in West Sussex and therefore we would really like to help raise awareness of the condition among our customers and in the wider area. Haskins Garden Centres are located in Ferndown in Dorset, West End in Southampton and Roundstone and Snowhill in West Sussex. For more information, visit www.haskins.co.uk.